I’ve already commented on the relationship, or juxtaposition, of poetry and art. It turns out that this has been going on for longer than I supposed in Teignmouth. In 1811 Joseph Mallord William Turner did a West Country tour. His sketchbook was accepted by the nation as part of the Turner Bequest in 1856. 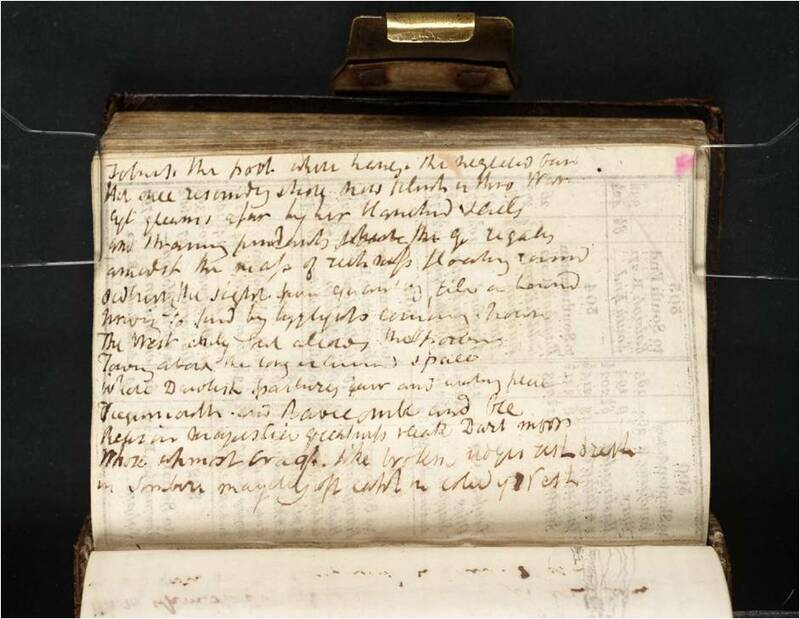 Interestingly though, interspersed with his drawings sixty-nine pages contain verses which Turner intended as a commentary for publication with ‘Picturesque Views on the Southern Coast of England’. This particular verse refers to time spent around this area. For more information follow the link at the end. This entry was posted in Poetry and Art and tagged Finberg, Petworth House, poetry in Teignmouth, Ringmore, Shaldon Bridge, Tate, Teignmouth poetry, Turner, Turner bequest on April 30, 2014 by pherecrates1. The last few posts have been about specific events or aspects of Teignmouth. Today is about ‘impression’. What does Teignmouth mean to different people? What is the image the town, its history, its aura, its essence conveys? Charles Causley wrote about a poem about Teignmouth which will feature in a future blog. We have already had a view from Patrick Wolf. Today another poem by Don Pearson giving a different perspective on the town. she sells her wares to the boat-builders. hunting the cod off Newfoundland. into the water and the earth. in their worn and helpless progeny. While the mist on the river remains. 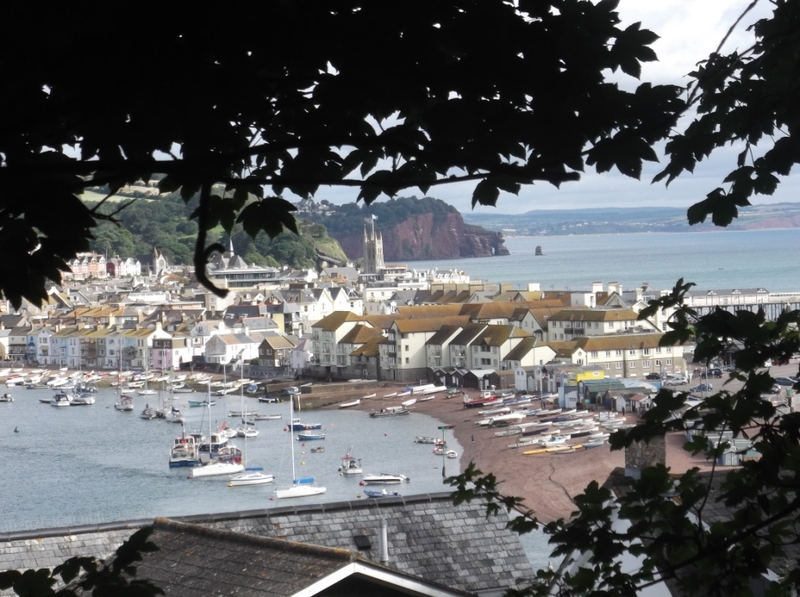 This entry was posted in Teignmouth Imagery and tagged Barbara Sealey-Bowers, Don Pearson, Patrick Wolf, poetry in Teignmouth, Teignmouth, Teignmouth poetry on April 27, 2014 by pherecrates1. 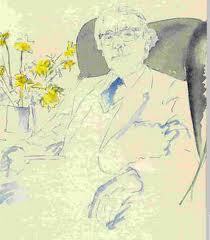 Today’s blog introduces another poet with links to Teignmouth – Charles Causley – who died in 2003. He wrote a number of poems related to Teignmouth which will feature in future blogs. I have chosen this one, ‘The Parson and the Clerk’ (not his most well-known), because of its most recent association. Several years ago it was set to music by David Haines and was performed this year by the South Devon Singers in their concert ‘By The Wild Sea Wall’ during Teignmouth’s Classic Music Festival. The theme of the poem also echoes an earlier posting here. If you want to know more, follow the links at the end of the poem. This entry was posted in Stories and tagged Babbacombe, By the wild sea wall, Charles Causley, David Haines, Parson and Clerk, poetry in Teignmouth, Shaldon, South Devon Singers, Teignmouth Classical Music Festival, Teignmouth poetry, Trusham on April 22, 2014 by pherecrates1. Back from history to the present day. One of the features of the Poetry Festival was an art exhibit at the TAAG centre (Teignmouth Arts Action Group) in which each item was accompanied by an interpretive poem. The idea of linking art and poetry is interesting and I‘ll come back to it again in a later post about the Teignmouth TRAIL. The interpretation of both is a personal thing – the eyes and ears of beholders often attach different meanings to visual and auditory images. Seeing both together can be revealing. 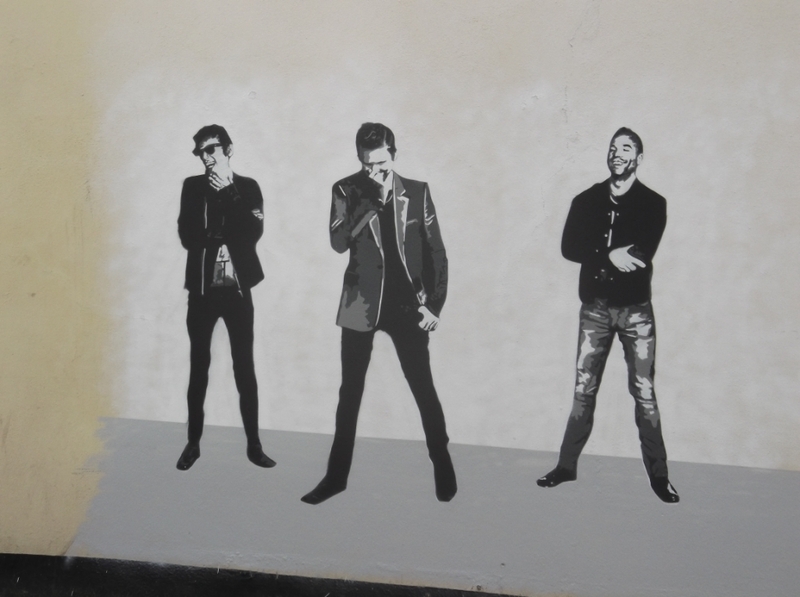 Art in Teignmouth though isn’t confined to TAAG or to the various galleries around. There is a growing flurry of ‘street art’ filling empty spaces, and I don’t mean graffiti but some stunning imagery. This poem is about one such piece of street art to be found on a back-street wall in Somerset Place. calling the wall to life. Ink black on paper white. This entry was posted in People, Poetry and Art and tagged poetry in Teignmouth, street art, TAAG, Teignmouth poetry, Teignmouth poetry festival, TRAIL on April 15, 2014 by pherecrates1. We come up-to-date with a recent piece of verse by Tacy Rickard, but its roots are in history. It recalls the death of four young girls on the Teignmouth Barr in 1734. The sandbars around the mouth of the Teign estuary have always been treacherous, as this story testifies, though today we have the National Coastwatch and the Royal National Lifeboat Institute to help if people get into trouble. The four young girls had no-one in 1734.
on the third day, standing by the graves. water of life, water of death. Did some young men sigh and quietly quench their dreams? A younger child in tow. Did their mothers warn them to take care? Ask Liz to take Mary from under her feet? And gather shellfish from the shore? This entry was posted in River verse, Stories, The Sea and tagged elizabeth vicary, mary brewer, mary potter, mary vicary, NCI, poetry in Teignmouth, RNLI, sandbar, tacy rickard, Teignmouth poetry on April 14, 2014 by pherecrates1. My last post was a poem from 1690. Jumble the numbers and you arrive at 1906, five years before Wilfred Owen first came to Teignmouth. This poem ‘Pasteur Brown and his Duck’ appeared in the 2nd February edition of the Teignmouth Post of that year. It was written by a remarkable man – Thomas Henry Aggett – who was dubbed ‘The Railway Poet’, in a style reminiscent of Pam Ayres. I discovered it in a pamphlet from the Teignmouth & Shaldon Heritage Centre. The poem is purportedly based on a true incident involving someone called Pasteur Brown who lived in French Street, Teignmouth, (although I can not find a census reference to him). At the time this incident occurred he was working at the building of Barnpark Terrace, either as a mason or as a mason’s labourer. I am trying to track down a copy of Thomas Aggett’s book ‘Vagabond Verses’ so if anyone can let me have access to a copy that would be great. And freaks could not endure. And bought a dozen more. And one was of the duck. There never was such luck! By toppling o’er the brink. One shovelled up his corn. “Now like the rest you’ll peck it up”. This entry was posted in Stories and tagged Pasteur Brown, poetry in Teignmouth, Railway Poet, Teignmouth Heritage Centre, Teignmouth Museum, Teignmouth poetry, Thomas Henry Aggett, Vagabond Verses on April 9, 2014 by pherecrates1. What a coup! I’ve found the earliest poetic reference to Teignmouth so far. This was written by the Reverend Philip Avant in 1690 in sympathy with the people of Teignmouth following the sacking of the town by the French fleet in July of that year. Remov’d those Joys vouchsaf’d in Ages past. But now the French have wasted all her store. When Priam’s Palace was to Greeks betrayed? Devour’d by Flames, a doleful sight appears. Sad is our Fate, when flames devour our walls. Wander that they under some roof do come! 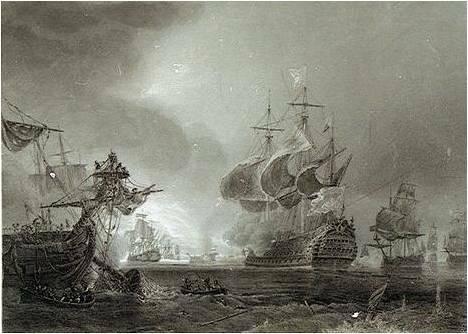 This entry was posted in Stories, The Sea and tagged 1690, battle of beachy head, french galleon, galleon, philip avant, poetry in Teignmouth, sacking of teignmouth, Teignmouth, Teignmouth poetry on April 1, 2014 by pherecrates1.